I was at Amoy Street Food Centre for a late lunch when I chanced upon this stall. There was a flower basket displayed right beside their stall, which is a good indication that this is a new stall that likely to be just opened for business. It was only later when I came across their Facebook page then I realized that they have just opened today. There is even a promotion going on, if you like their Facebook Page and follow them on Instagram, you will get free truffle shavings with each order which I did not know and so, I am not entitled. It will be nice if they make an effort to highlight it to their customers. The lady that took my order did not seem particularly friendly though. I was telling her that I did not expect to find such a stall in the food centre and she just smiled away. This stall is headed by a few young and passionate foodies that want to make good gourmet food available to the masses at affordable prices and they take pride in their ingredients as well as the cooking methods to serve the best to their customers, as mentioned on their Facebook page. 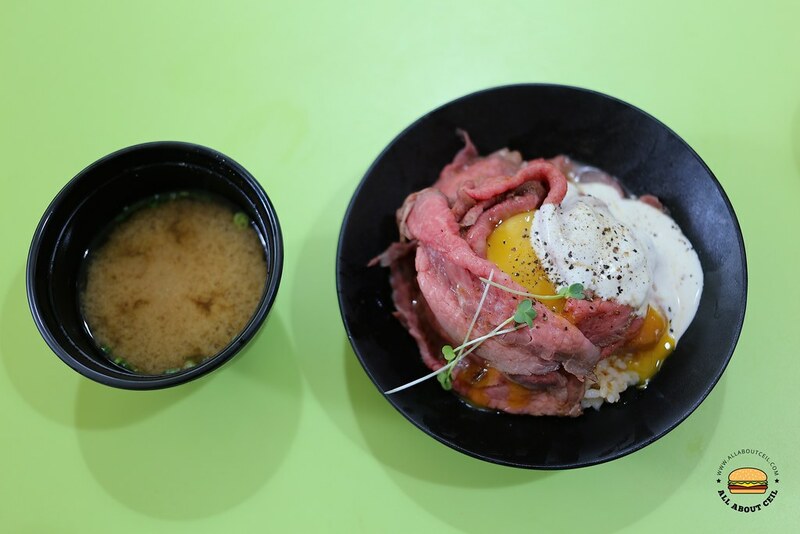 Wagyu Roast Beef Donburi ($10) is their signature dish, it is slowly roasted to a perfect texture which still has its moisture retained for the desired tenderness. 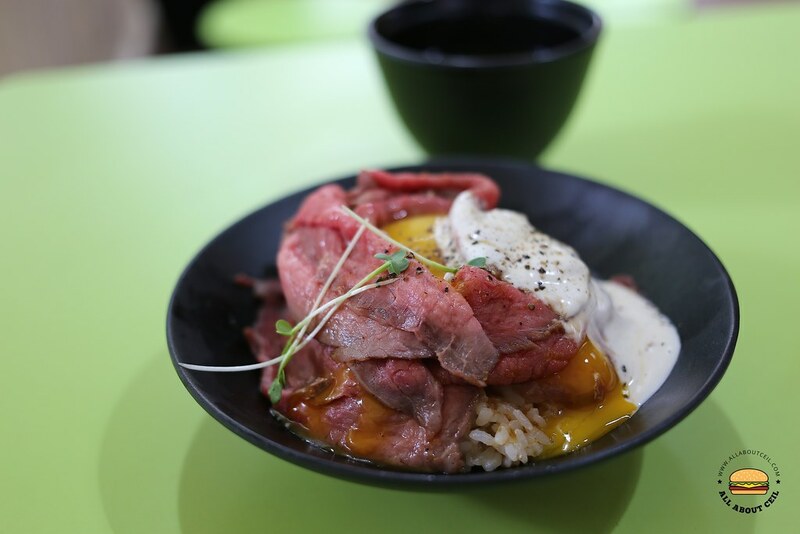 It is served along with an egg and their signature homemade yogurt sauce on rice. 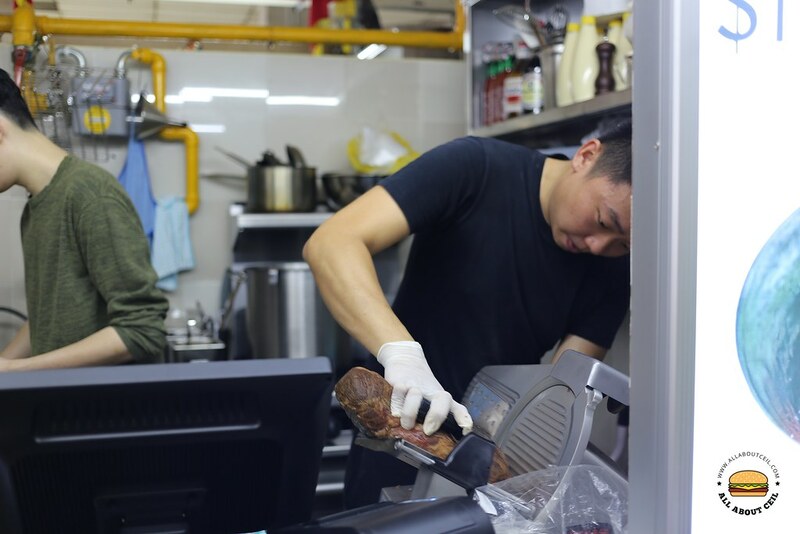 This is not a common dish to be found in a food centre and they are likely to be the first hawker stall serving such a dish. I first tasted such a dish during my recent trip to Japan, though not really a fan but it is something different to have when visiting a food centre for lunch. I would think that $10 for such a dish is of decent value though it is more expensive as compared to the usual hawker fare. When I brought along to order my coffee from another stall, a fellow hawker was asking how much did I pay for it and when I told her it costs $10. She looked a bit shock and was telling the Uncle of the coffee stall that this beef rice bowl is $10. 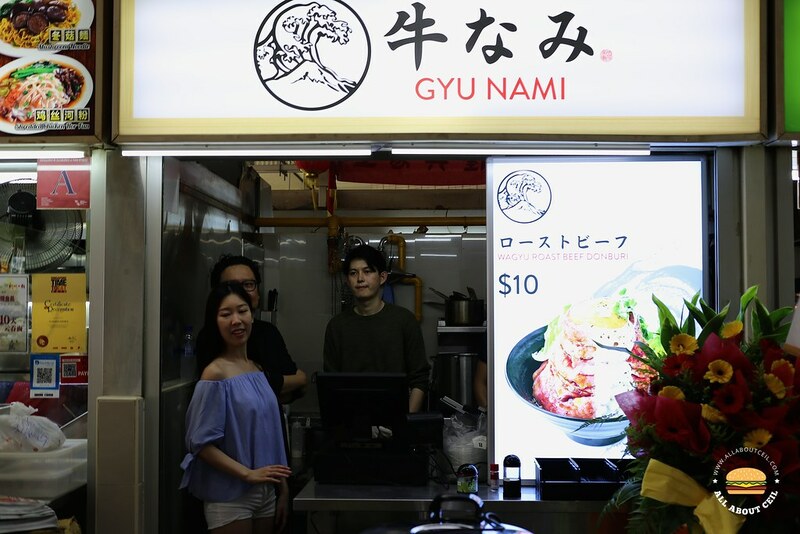 She did ask which stall that I ordered it from, I told her that it is a new stall near Taste Affair and the famous Han Kee Fish Soup. The real thing did not look as tall as the one in the picture on their Facebook and also with lesser beef slices though I totally understand that pictures are always just for illustration purposes. In this case, what you see is not exactly of what you will get. Overall, it was not bad. 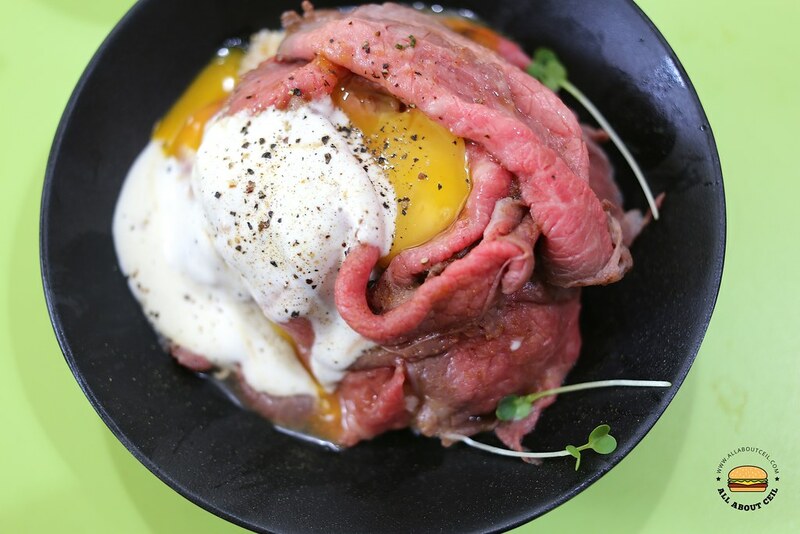 Those beef slices were quite tender with a runny egg yolk and when mixed it well, it provides a nice textural contrast. This would not be something that I will look forward to eating it again soon when I am here for lunch again.